The imminent return of Jesus is no longer taught. With the current world-wide growth of the church, there is no longer a belief in the literal gathering of Israel here on this the American continent. The literal restoration of the ten lost tribes has become uncertain. Also as a result of having a world-wide church, the concept of returning someday to Jackson County Missouri is becoming less clear and less spoken of. In the next 500 to 1,000 years mankind will know without a shadow of a doubt that Section 77 of the D&C is NOT a true revelation from God and that we living in 1997 were NOT living in the last days anymore than the Apostle Paul was living in the last days during his ministry. This section points to the fading belief that we are living in the last days, during the last years of the sixth seal, the sixth thousand years. We already know that this earth has had a temporal existence far in excess of the seven thousand years spoken of in the answer part of verse 6. 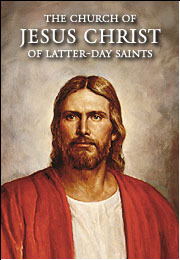 It is important for me to try to tell those in future generations yet unborn that I no longer believe that I am living at the end of time or in the "latter days", although for the first 38 years of my life I firmly believed that the end would come in my own lifetime as I had been taught as a child. My 16 year old son (active LDS) has informed me that I must have heard wrong as a child. He tells me that I was really taught that Christ was coming back in the lifetimes of my children since he of course has been taught the exact same story that we all have heard in each generation for the last 150 years. Nevertheless, I do hope for the end to come and with it the return of Jesus. Those of my family, of my generation, and the generations that have been part of the LDS movement for the last 150 years have been mislead into thinking that "the time is far spent" or that "there is little [time] remaining". Those in the far distant future will verify that I was correct. Repent, for the kingdom of heaven's at hand.